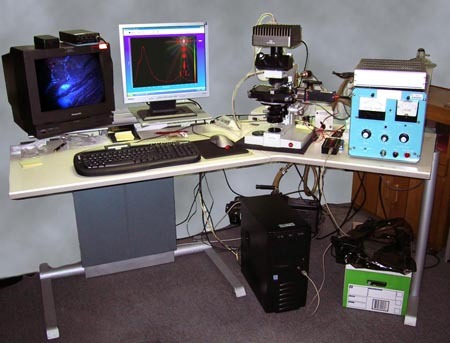 This PC based Empix Workstation provides an optical microscope test bed for low fluorescence camera testing. Our USB Fiber Optic Cathodoluminescence Spectrometer is also interfaced to the optics, providing CL spectra to document composition and changes viewed with imaging. Using a Relion vacuum chamber and electron gun, excellent, stable CL results are obtained.